On behalf of the scouts, parents, and volunteers of Boy Scout Troop 54, we would like to formally welcome you to our website. We are located in Novi, MI and are affiliated with the Ottawa District of the Great Lakes Field Service Council BSA Organization. There are two environments within this site: a PUBLIC SITE which is available to everyone and a PRIVATE SITE which can only be accessed when granted permission. All parents and scouts within the troop will be given access to the PRIVATE SITE. We will store general information in the PUBLIC SITE and photos and events on the PRIVATE SITE. To access the PRIVATE SITE, sign in using the MEMBER LOGIN link on the horizontal menu. Now a father with 2 boys, I want to provide them with the opportunity I had as a youth. 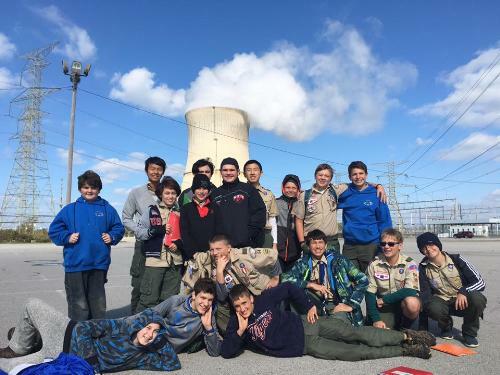 Boy Scouts allows young men to engage in nature, lead their peers, experience and partake in many different learning opportunities outside of school and organized sports. I, along with several other leaders of Troop 54, now get the privilege of guiding all of our young men through the various adventures Scouting has to offer.